Jamala’s practice focuses on all aspects of employment law, including advice and counseling, representation in litigation and agency matters, and corporate transactions. In advising and counseling clients in matters that include hiring, termination, separation agreements, pay, restrictive covenants, discrimination and harassment, Jamala brings to bear her experience in advising more than 100 small-to-midsize to Fortune 100 organizations in varied industries. Jamala conducts internal investigations and has trained over 1,000 management and staff employees on harassment and discrimination policies. Additionally, Jamala drafts workforce-related agreements, policies, and handbooks and assists executives in employment contract matters, including negotiating severance agreements. Admitted to practice in three states and multiple federal courts, Jamala has represented clients in more than two dozen jurisdictions. Her litigation experience includes successful jury trials, administrative trials, and pre-trial dispositive motions. She also represents clients before administrative agencies, including the Equal Employment Opportunity Commission, the Department of Labor, and the Department of Justice’s Office of Immigration Related Unfair Employment Practices. Jamala regularly serves as go-to counsel for small-to-midsize organizations that have no or limited in-house legal counsel. The transactional component of Jamala’s practice focuses on providing expertise on litigation and workforce-related matters to private equity and other companies involved in mergers and acquisitions. Jamala also has provided post-transaction assistance, which has included the on- and off-boarding of C-suite executives and implementing solutions to address issues identified during the due diligence process. In addition to her law practice, Jamala is actively engaged in the community. She is an alumna of Leadership Atlanta’s Class of 2017, a past president of the Georgia Association of Black Women Attorneys, and serves on the Atlanta Legal Aid Society’s Executive Committee. Consistent with her passion for providing exposure and access opportunities to young people, Jamala served as an Attorney Coach for Therrell High School’s Mock Trial Team for 11 years. 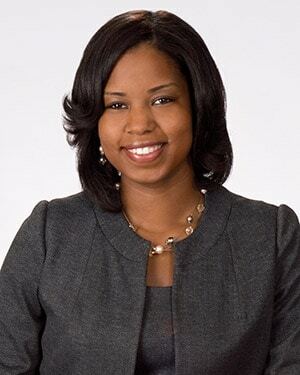 Before establishing ELS, Jamala honed her substantive legal and trial skills at Eversheds Sutherland and as a law clerk to the Honorable Anna Diggs Taylor of the U.S. District Court for the Eastern District of Michigan. Obtaining injunctive relief in Fulton County Superior Court against a former employee that violated non-compete and non-solicitation covenants. Successfully defending a company in a three-week jury trial in Massachusetts federal court where the plaintiff asserted breach of contract claims and sought millions of dollars in punitive damages. Successfully defending a major finance company in a two-week jury trial in Tennessee federal court against claims alleging civil Racketeer Influenced and Corrupt Organizations (RICO) Act violations, fraud and other violations of state law. Obtaining a decision affirming summary judgment in the Eleventh U.S. Circuit Court of Appeals concerning gender and pregnancy discrimination claims. Defending a large packaging manufacturer against claims alleging employee raiding and violation of non-competition and other restrictive covenants. Defending a manufacturer in Texas federal court against claims involving misclassification and overtime wages.